Northlane have announced they will be taking their new single Intuition on tour around the nation in May. Following on from a huge headline set at UNIFY 2017 and a sold out east coast run, The Intuition Tour will take Northlane back to the regional centres of Australia for the first time since 2015. Joining Northlane on the highways around the continent will be special guests Hands Like Houses. Northlane revealed Intuition as a surprise gift for fans during their headline show at UNIFY 2017 in January. The song quickly made its way onto YouTube via fan footage, with news of the new song rapidly spreading to all corners of the internet, creating headlines worldwide and fans begging for the studio version. The accompanying new video was filmed by Jason Eshragian onsite at the festival. 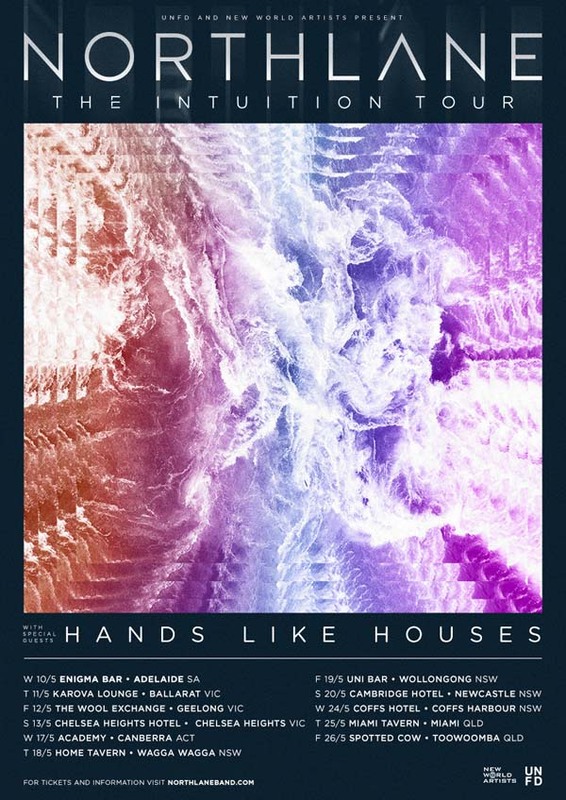 Hands Like Houses will join Northlane on home turf. Fresh off their own wildly successful headline Australian tour in which in which every single ticket was snapped up before doors opened, the boys from Canberra even took a detour from their own headline shows to hit arenas support British behemoths Bring Me The Horizon on their rescheduled dates to showcase their latest album Dissonants. Tickets are expected to move quick, so don't miss your chance to see two of Australia's best. Tickets on sale 9am Friday 3rd March.